King Arthur, remember him? The one who may or may not have spearheaded the defence of Britain against Saxon invaders way back in the 5th and early 6th centuries AD. Why are we telling you this? Well, the remnants of an actual royal palace have been discovered in an area of Cornwall believed to be the the King’s very birthplace. Read all about it here. Bringing it back to 2016, Uzbekistan’s queen of gymnastics, Oksana Chusovitina, will officially be the oldest gymnast to compete at an Olympic Games. Rio will be the 41-year-old’s seventh Olympics and, according to the BBC, she will be “one of only a few women” to return to the international competition following motherhood. Speaking of stars, a team of researchers have reportedly discovered a region at the centre of our galaxy void of young stars, suggesting our understanding of the Milky Way could be totally wrong. No biggie. No need to worry though, because here at Ometria our understanding of ecommerce is pretty much spot-on. Here’s this week’s constellation of ecommerce marketing news stories from around the globe. Read them all and you’ll be the superstar of Monday’s ecommerce meeting. 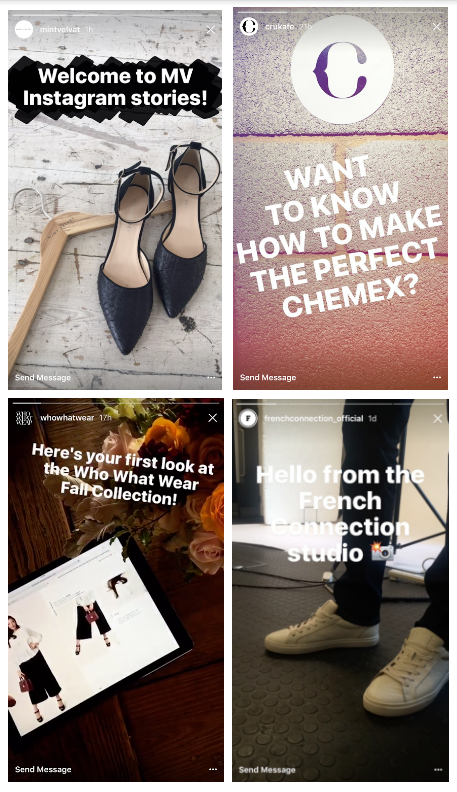 Instagram Stories - A New Narrative for Ecommerce Brands? It’s the story that has caused quite a stir in the social world this week: Instagram has introduced disappearing content. 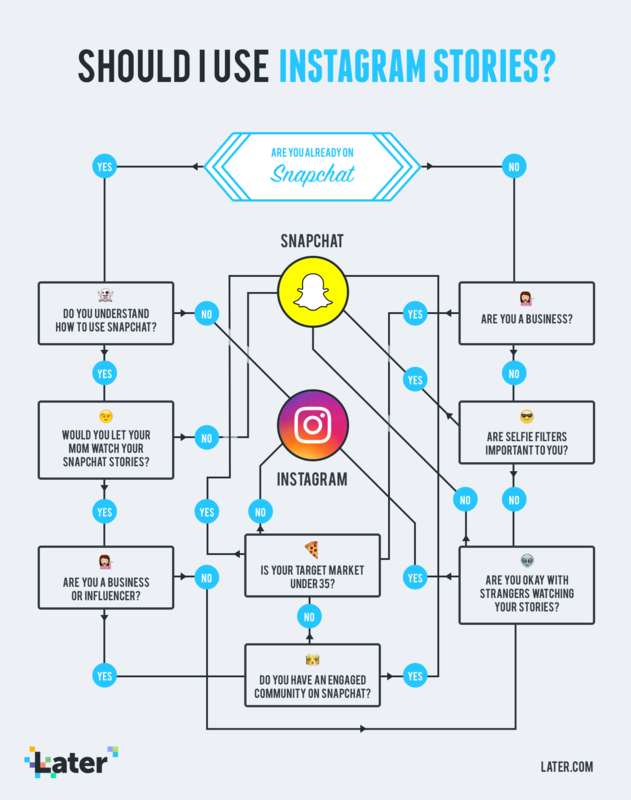 In what appears to be an attempt to keep up with other photo-sharing platforms -*cough Snapchat* - Instagram revealed on its blog that Instagram stories will let users “share all the moments of your day, not just the ones you want to keep on your profile”. The new feature is called “Stories” because users can share numerous photos and videos and they will appear together in a slideshow format. Stories disappear after 24 hours and won’t appear on your profile grid or in feed. Why has Instagram done this? So that people like you and me don’t need to worry about “over-posting”, which, let’s be honest, we’ve all lost at least one night’s sleep over. Instagram Stories also gives the previously arty social media tool - favoured by fans of Baudelaire and flat whites - a fun and creative edge with its text and drawing tools. So, what does this mean for ecommerce marketers? Unsure whether you should jump on the bandwagon? Below is a handy infographic from the guys at Later that will help you decide. Tell us what you think about Instagram Stories by tweeting us at @OmetriaData. Last week, Amazon revealed it has formed a new partnership with the UK government to test package delivery with aerial drones. The ecommerce giant has spent years appealing to U.S. regulators for permission to carry out the tests. According to the E-commerce Times, a cross-government team has given Amazon the green light to start testing “beyond-line-of-sight operations in suburban and rural communities”; “performance of sensors designed to make sure drones can identify and avoid obstacles” and “the feasibility of allowing a single person to operate multiple highly automated drone vehicles. If you haven’t heard about Scoutsee, don’t panic: the company seems to have stayed under the radar following the launch of its mobile app in the iTunes app store this week. You do, however, need to know about it. 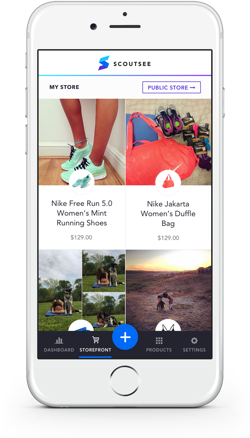 Labelled “the first social media affiliate marketing platform”, Scoutsee offers a mobile app and tools that enable users to make money by promoting products in their Instagram, Facebook and Twitter posts. Basically, it's an app that was waiting to happen. According to the company website, if a product promoted in a post is actually purchased, the Scoutsee user will receive a commission from the sale. They will typically receive between 6 and 10% of the purchase price. "The influencers on social networks are all targeted by 'influencer networks' and other middlemen to broker transactions for promoting a brand's products. "Scoutsee enables the millions of influencers on Instagram to facilitate their own transactions, individually or directly with brands." The platform is supposed to be easy to set-up and use from a smartphone. Intrigued? Find out more here. If emojis are a big part of your marketing strategy, you’ll be thrilled to learn Apple has disclosed over one hundred new and redesigned emoji characters will be available to iPhone and iPad users this fall with iOS 10. The new additions, which have been described as “gender diverse”, are said to include: new female athletes and professionals, a new rainbow flag and more family options. 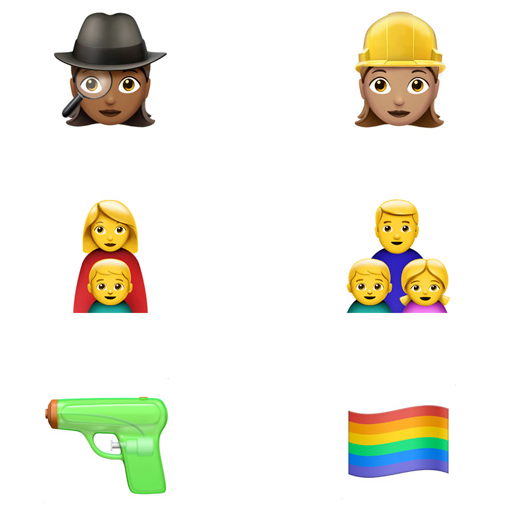 According to the Apple Newsroom, the California based tech giant has been collaborating with the Unicode Consortium to make sure its emojis “reflect the diversity of people everywhere”. According to a recent Think with Google article, San Francisco based beauty brand Benefit Cosmetics has used TrueView discovery to share eyebrow tutorials and boost brand awareness on YouTube. The initiative resulted in a 20% increase in channel subscriptions. To recap, TrueView works on the premise that companies only pay when someone chooses to watch their video ad. The brand’s vice president of brand and digital marketing, Nicole Frusci, commented on the power of YouTube when it comes to the beauty industry. Benefit implemented TrueView discovery ads as a way to reach women at the moment they are looking up brow-related content online. The ads work by recommending videos to watch on the video watch page and search results page “only when they’re directly relevant to a viewer’s query”. According to Think with Google, the company served its brow tutorials to “interested” viewers, which subsequently “drove traffic to its YouTube channel” to browse other, similar content. Find out more about Benefit’s TrueView campaign here. Did we miss a story? Let us know in the comment section below!